Cool & Strange Music for June 28, 2016! LL Cool J vs. Dexy’s Midnight Runners, Messer Chups, Julie Brown! We’re back to Cool & Strange Music for June 28, 2016! And today we have some bizarre and cool videos that are sure to make you laugh, or, at least go, “Wow!” Today’s video are all “over the top” so if you have a twisted sense of humor, you’re gonna like these! Dracula hates photoshoots? Of course he does! All those flashing lights and all. I hate photo shoots. Don’t you? At #2 is a mashup. We featured my top favorite mashups a few weeks back and the reaction was great! Thanks to all who wrote in. My favorite mashups are ones that take two totally different types of music and mash them together into a shockingly amusing mix. Today’s mashup is sure to satisfy. It is LL Cool J versus the Dexy’s Midnight Runners. This is genius. I cracked up when Dexy’s Midnight Runners come in and sing in the middle. Did someone say, “Today’s videos are all ‘over the top’?” I did? 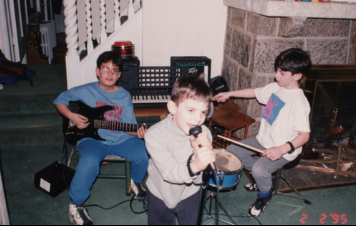 OK. Well, here’s a classic from the 80s. And one of the most deliciously over the top videos I think I’ve ever seen. If you ever went to high school in America (and you weren’t a cheerleader or captain of the football team), then you’ll dig this classic. The lyrics are hilarious, an entire 1950s movie plot in one short 3 minute video. 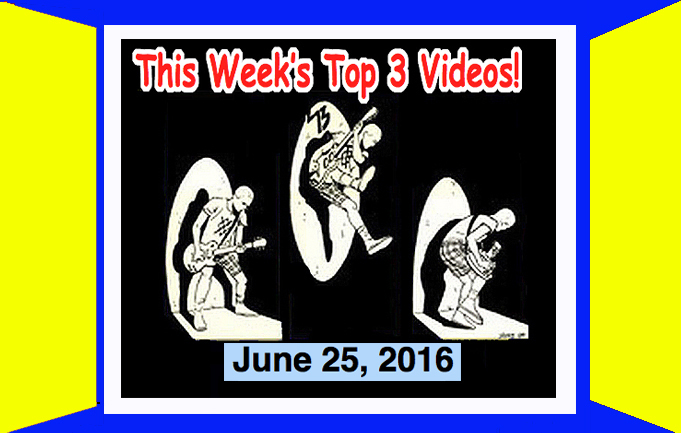 Top 3 Videos for June 25, 2016! Richie Ramone, Rangsteen (Japan), Angelic Milk, Mommy Long Legs! It’s time once again for the Top 3 Videos! The best of the Top 3 Indies Band videos for June 25, 2016! 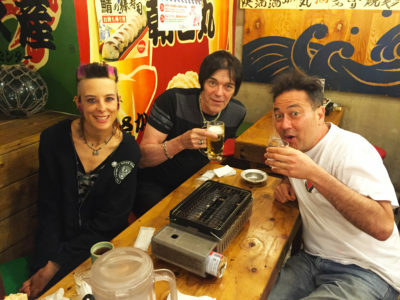 Oh, let me brag, while Richie Ramone was here, we went to have a beer and lunch with bassist Clare. It was fun! 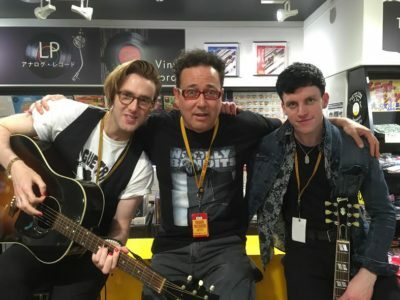 Thanks Richie and Clare! 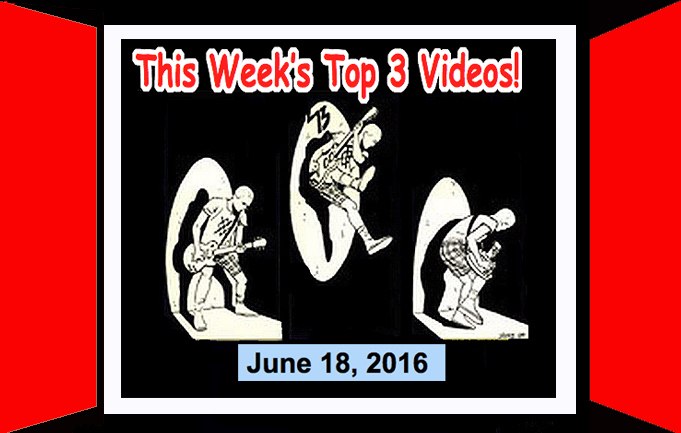 Top 3 Videos for June 18, 2016! Frankie and the Studs, Su Ko D Koi (Japan), Creeping Ivies, Dressy Bessy! It’s time once again for the Top 3 Videos! 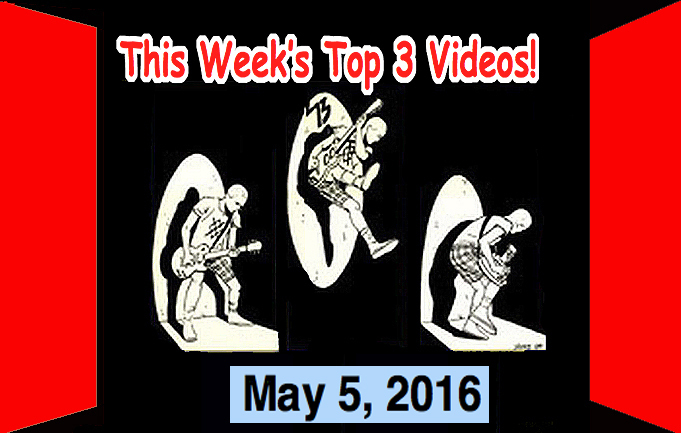 The best of the Top 3 Indies Band videos for June 18, 2016! And, it’s Ladies Night! Today’s countdown are all girl’s band’s or bands with female vocalists! Regular readers of mine will know that I have always liked female vocalists so check these hot new bands out! 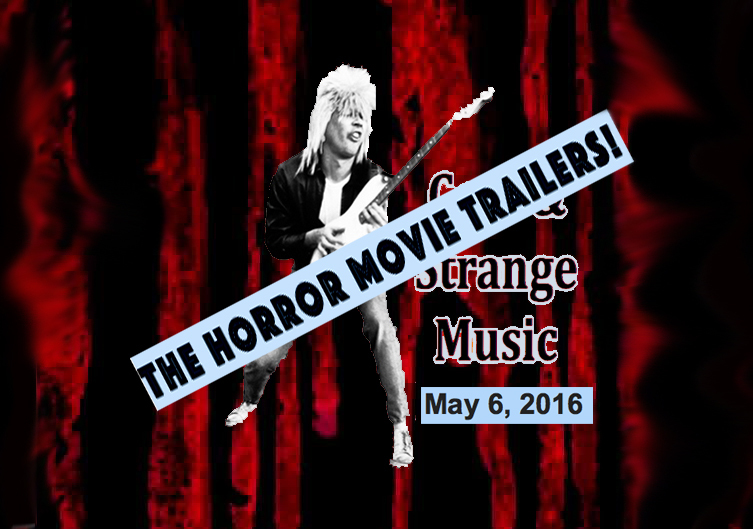 We’re back to Cool & Strange Music for April 12, 2016! And we have a special edition, the Horror Movie Trailers! Here are some recent horror (humor?) movie trailers that have caught my eye. (And one that I made myself, so this could be construed as shameless self-promotion. So what? It’s my blog so, sue me!) These are some of my faves over the last couple of years that disgust me or make me laugh (mostly do both). These films are deliciously ridiculous and, if you have a twisted sense of humor, like me, you are going to crack up at these stories. By the way, the Privates currently have a hit on Rodney on the Roq on KROQ Los Angeles named “Action Woman” (video by yours truly and Ken Nishikawa and Kevin Hammontree.) Speaking of Rodney Bingenheimer, he and film director/producer Kansas Bowling have a cameo in this film! “Four hundred years ago, a band of ninja warriors are assigned to investigate the crash of a mysterious object from the sky. Upon arriving at the crash site, they discover the remains of other ninjas that have been brutally torn apart. Shortly after they encounter a boy whose village was massacred by an unknown assailant. Before they can get any further explanation from the boy, the ninjas are attacked by aliens from another planet. After a grueling battle that takes the lives of several ninjas, they manage to kill three of the aliens, but one of the aliens retreats while kidnapping one of the ninjas. The kidnapped ninja wakes up, hanging upside down at a temple, only to discover an organism lurking within his throat, but before he can react, it takes over his body. Got that? Simple. Happens everyday, right? Oh, and Rodney Bingenheimer (Rodney on the Roq) and Kansas Bowling herself appears in this movie too! 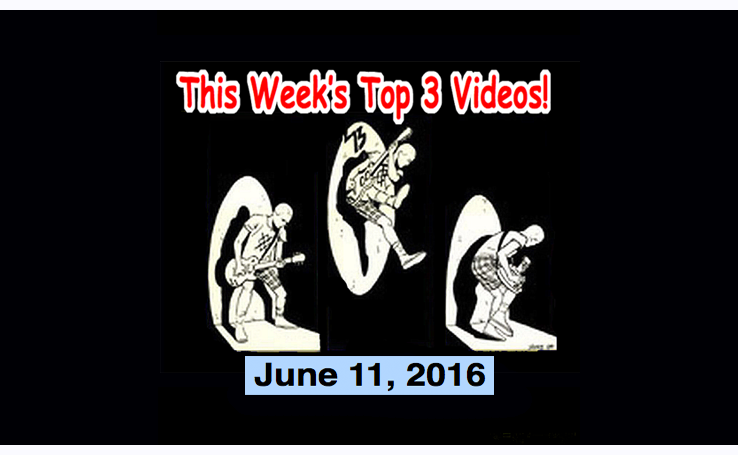 Top 3 Videos for June 5, 2016! Wendy James, The 50 Kaitenz, The Sloths, John No Arms! It’s Top 3 Video time! The best of the Top 3 videos for June 5, 2016! Welcome friends! I think you’ll laugh and you’ll like this…. Check out the drummer’s seat.